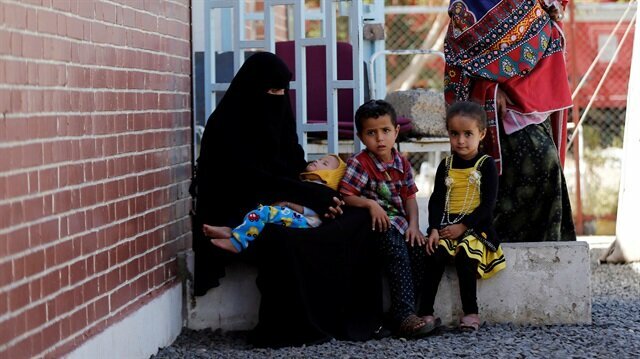 Thirty-one percent of girls in war-battered Yemen lack access to basic education, according to the UN Office for the Coordination of Humanitarian Affairs (OCHA). “Due to conflict, girls are at a higher risk of losing access to primary or secondary education,” OCHA tweeted on Thursday, which coincided with the UN’s International Day of the Girl Child. “Every single girl has the right to have every skill available to succeed,” OCHA said. Impoverished Yemen has been wracked by war and turmoil since 2014, when Shia Houthi rebels overran much of the country, including capital Sanaa. Yemen's cholera outbreak - the worst in the world - is accelerating again, with roughly 10,000 suspected cases now reported per week, the latest data from the World Health Organization (WHO) showed. Some 1.8 million Yemeni children are malnourished, making them more vulnerable to disease.